Grand opening event at the location on Pacific Highway will be this Saturday starting at 8 a.m.
Dollar General's newest store at 3624 Pacific Highway in Hubbard is now open. Dollar General will celebrate the store's official grand opening at 8 a.m. Saturday, April 28 with free prizes and special deals. The first 100 adult shoppers will receive a $10 Dollar General gift card and the first 200 shoppers will receive a Dollar General tote bag with complimentary product samples. Customers can also register to win a free year of shopping from Dollar General, a prize valued at $520. "Dollar General is committed to delivering a pleasant shopping experience that includes a convenient location, a wide assortment of merchandise and great prices on quality products," said Dan Nieser, Dollar General's senior vice president of real estate and store development in a press release. "We hope our area customers will enjoy shopping at Dollar General's new location." The Hubbard location, which is the former home of Key Bank, is the second Dollar General location in northern Marion County. Dollar General opened a store along Douglas Avenue in Gervais in December 2017. The company has been aggressively expanding into Oregon in recent years, targeting small communities along the I-5 corridor that may not have access to larger retail stores. In the past year, Dollar General has opened new chains in Sweet Home, Drain, Creswell, Oakridge, Harrisburg, Philomath, Mill City and Jefferson. Additional locations in Aumsville, Dayton, Silverton, Independence and Estacada are also on the horizon. 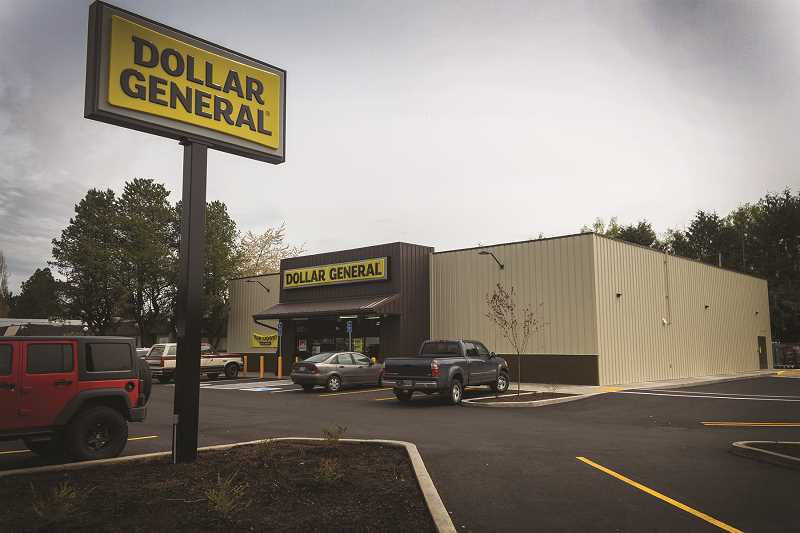 Dollar General seeks to invest in the communities it serves through the Dollar General Literacy Foundation (DGLF), which awards grants each year to nonprofit organizations, schools and libraries within a 20-mile radius of a Dollar General store, Petkovic said. For more information about the DGLF and its programs, visit www.dgliteracy.com.